What are the Pros and Cons of Using a Wicker Laundry Basket? Wicker laundry baskets are able to handle heavy laundry loads. A laundry basket made using the wicker process. A wicker laundry basket can keep dirty clothes from piling up on the floor and can tie in with a home's décor. Wicker does have its limitations, though. It can absorb moisture and odors, and its tight weave can make it difficult to clean in comparison with smooth plastic. Wicker also might snag laundry items and cause rips or other damage. Simple function is perhaps the most important reason for bringing a wicker laundry basket into the home. Wicker baskets help keep bedrooms and bathrooms neat and clean. 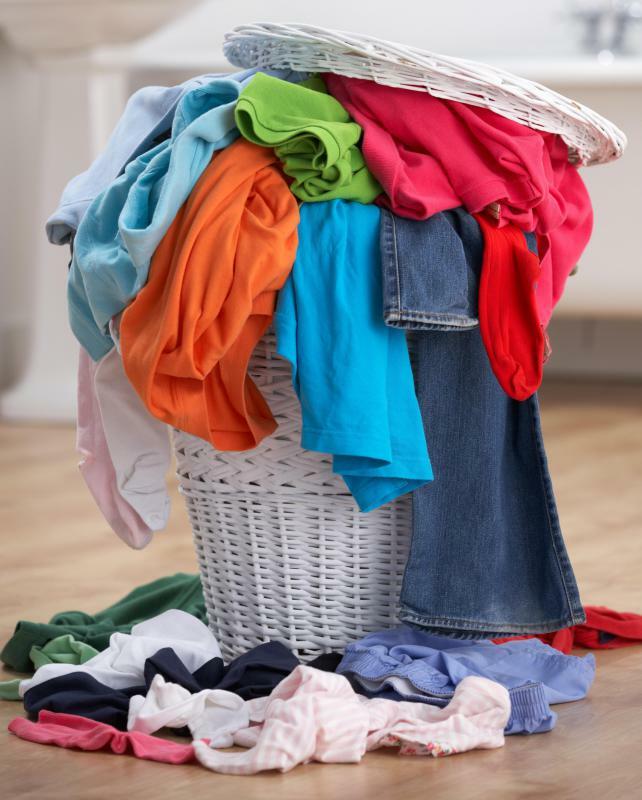 Lids are useful in keeping dirty laundry out of sight and keeping odors from spreading throughout the room. One of the biggest advantages of the wicker laundry basket is its appearance. Although a laundry bag or plastic hamper can hold dirty clothes just as well, many people consider those items less attractive. A wicker laundry basket, on the other hand, can be chosen to match the bedroom or bathroom in color and style. When coordinated with its surroundings, the wicker basket blends in, but other items stand out as collections of dirty laundry. Laundry baskets made from wicker are strong and sturdy, able to handle the heaviest laundry loads. Plastic baskets, on the other hand, are prone to cracking. Most wicker laundry baskets also are considerably larger than laundry bags and plastic baskets, making them better able to handle the week’s laundry. There are some potential problems with keeping dirty clothes in a wicker laundry basket. For instance, wicker is a natural fiber, and it absorbs moisture from damp clothes and steamy bathrooms. Trapped moisture can discolor the wicker and can become a breeding ground for mold and mildew. Moisture might also help odors cling to a wicker laundry basket. Smells from dirty clothes, especially clothes left in the bottom of the basket for long periods, might transfer to the basket itself. Even when the item is removed and cleaned, the odor might remain. Wicker is difficult to clean as well. Spills over a wicker surface will seep into the weave and reach places where they cannot be wiped away. Heavily soiled clothes also can leave dirt and grime on the basket and can prove difficult to remove. Some people use a cloth liner inside the wicker basket to help solve this problem. The liner can be removed and washed when necessary. Weaving with wicker leaves exposed ends that can snag and damage clothing. Sweaters and knitwear are especially vulnerable, but an unnoticed snag can pull loose threads or even tear holes in almost any item of clothing. Smooth-surfaced baskets and bags do not have this problem. How Do I Choose the Best Laundry Line? How do I Set up a Laundry Station? How do I Choose the Best Laundry Hamper? How do I Choose the Best Collapsible Laundry Basket? What is a Wicker Basket? I really liked this article. I am the one responsible for doing laundry in my house, and I agree with most of what this article says. One thing I was wondering though, do wicker laundry hampers really attract odors and smells? I always presumed that the wicker is somehow treated to prevent it from deteriorating too much when exposed to water. 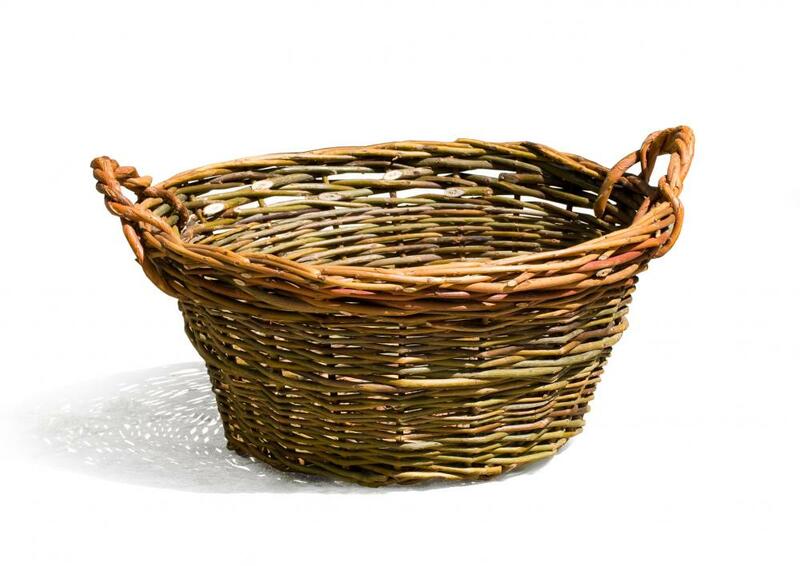 I actually might put a similar list of advantages and disadvantages of wicker laundry hampers on my own website.